The damage tobacco inflicts on a smoker’s heart and blood vessels tends to be invisible. But Beebe Healthcare heart surgeon M.L. Ray Kuretu, MD, has seen its effects in the plaque-clogged arteries of patients in the operating room. To a smoker, the toll cigarettes take on your heart can be hard to notice, but there’s plenty of evidence that it’s real. A smoker has a 70 percent higher chance of dying from blocked arteries than a nonsmokers. Put another way, cigarettes are to blame for about one in four deaths from heart disease. February is American Heart Month, making it a good time to consider how smoking might be harming you or a loved one. Dr. Kuretu helps to answer six questions about smoking and your heart. 1. How does smoking hurt my heart? While it’s easy to see how smoking harms your lungs, the connection to your heart isn’t as obvious. That’s because smoking’s biggest risk to your heart is indirect. Your body’s blood vessels are like its plumbing, taking critical oxygen to organs and taking waste away. And, in a house, when the plumbing is backed up, the faucet stops working. In your blood vessels, those backups are caused by masses of fat called plaque. By narrowing blood vessels and chipping away at the vessels’ defense, chemicals in smoking make it easier for plaque to form. In this case, that could eventually mean cutting off the oxygen your heart needs to keep pumping. Unfortunately, short of a heart attack, there are no sure-fire warning signs that plaque is building up. How Is Smoking Affecting Your Body? Find Out. 2. How many cigarettes raises your risk of a heart attack? Fewer than you may think. Repeated studies have found that you don’t need to be a pack-a-day smoker to have a higher risk of heart attack. Smoking between one and five cigarettes a day has been shown to increase your risk. That said, smoking more cigarettes does speed up the damage to your heart and blood vessels. 3. What effect does secondhand smoke have on my heart? Being around smokers isn’t quite as dangerous as smoking yourself, but it’s still a big deal. About 34,000 American nonsmokers die each year from heart disease caused by inhaling cigarette smoke. That’s more than the number of Americans killed in car accidents each year. And it doesn’t include the other health risks of inhaling secondhand smoke, like stroke and lung cancer. In children, those problems include ear infections and problems with breathing. The Centers for Disease Control recommends against letting people smoke in your home or car, even with the windows down. 4. Who is at the most risk? Everyone is at some risk for heart disease — it’s normal for some plaque to form inside our arteries as we age. “Some plaque buildup is expected as we get older, but when it occurs in your 50s or younger and you’re a smoker, then that is a problem,” Dr. Kuretu says. Just as smoking can lead plaque to build up faster, so can other factors, like diabetes or a family history of early heart disease. 5. What about e-cigs — Do they harm my heart? The short answer is we don’t know. It’s true that most of the health problems that come from smoking come from, well, smoking — the burning of tobacco. But electronic cigarettes, or e-cigs, also contain nicotine, the chemical most responsible for smoking addiction. To look at the risk nicotine causes, it makes sense to look at people who chew tobacco, which contains nicotine. In a 2014 report, the American Heart Association notes people who chew tobacco only have a very small increase in heart attack risk. Likewise, the secondhand vapor from e-cigs exposes nonsmokers to nicotine and several harmful chemicals, but at much lower levels than cigarettes. But nicotine isn’t the only chemical in e-cigs, and there haven’t been enough studies on the topic to be certain one way or the other. 6. How will quitting help? This is where the good news comes in. Within only 20 minutes after you stop smoking, your heart rate and blood pressure drop. Within a year, your risk of coronary heart disease is half of a smoker’s. And 15 years after quitting, your heart disease risk is the same as a nonsmoker’s. And it’s never too late to quit. The earlier you quit the more years, on average, you’ll gain. Quitting after 50 adds six years to your life. After 60, it can add three years. Even for smokers who’ve already had a heart attack, quitting drops your risk of another heart attack by half. If you’re already experiencing symptoms of heart disease — like if you’re winded easily or in chest pain — you should consider seeing a doctor in addition to quitting smoking. Dr. Kuretu says a stress test and perhaps a scan of your heart will show whether medication or a procedure could lower your risk of a heart attack. 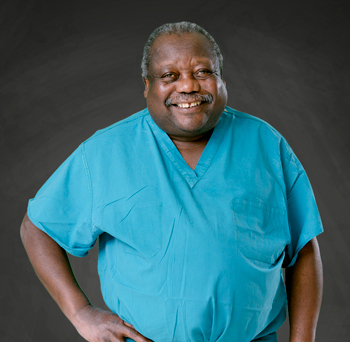 Dr. Kuretu has seen firsthand how much his patients struggle to quit. “People who undergo heart surgery promise to quit and when they see me a year later in the office, they have a couple cigarettes in their pocket,” he says. Beebe Healthcare’s counselors, trained in the latest methods to help you quit, know it isn’t easy. But they want to give you the support you need to stop smoking for good. For more information, call (302) 645-3030 to make an appointment.